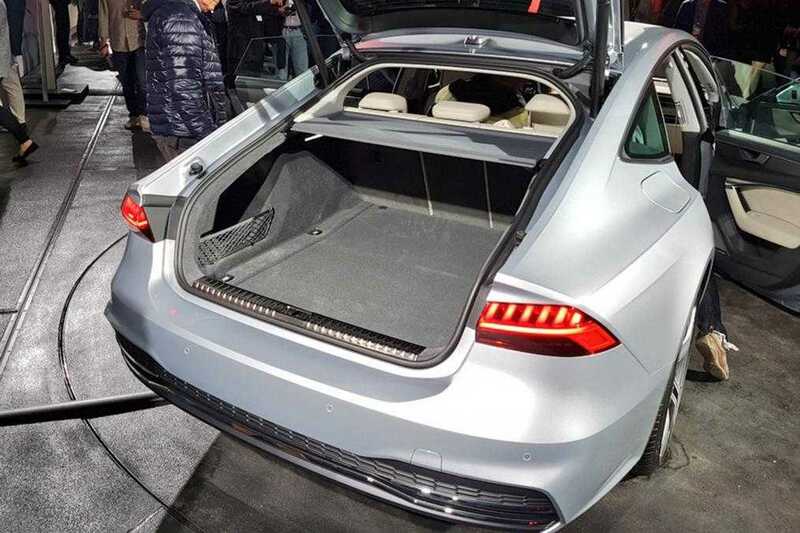 The 2018 Audi A7 Sportback was officially launched and the specifications look as promising as the rumors earlier suggested. The car which is mounted on the latest MLB Evo platform uses hybrid technology on all its engines. 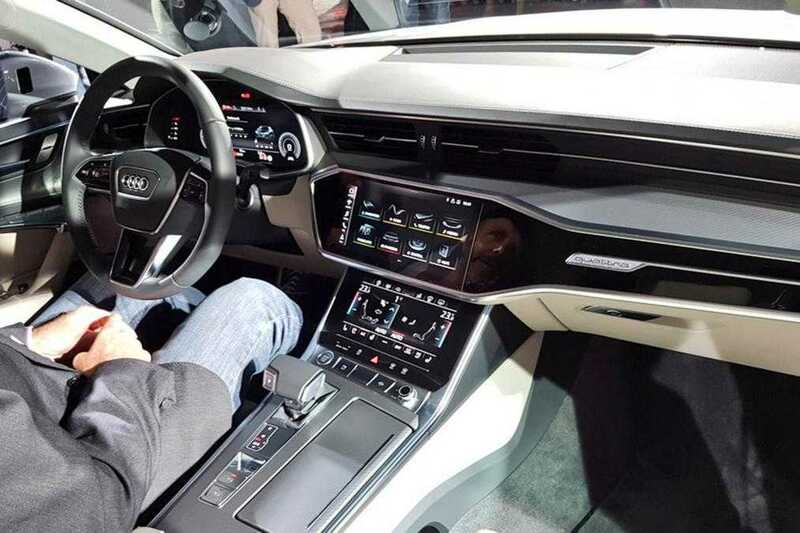 The automobile manufacturer has confirmed that buyers will be able to purchase the new A7 early next year. Instead of going all-electric which might put off potential buyers, the engineers have gone with a mild hybrid technology upgrade to keep things under control. The exterior is as sporty as this Sportback model could get. The overall dimensions remain the same but the wheelbase is now 10mm longer than the outgoing model and Audi has managed to add 21mm more length. It offers increased passenger space on the inside. The front fascia has undergone significant changes with a lower and wider grille, narrower headlights. For maximum visibility, the car is equipped with a three-headlight system and the Matrix LED lights system. The LED tail light according to the manufacturer is capable of bouncing off the entire car improving safety and works only when the doors are all locked. As with most other models, Audi offers a S-line styling pack. When you are willing to spend the additional cost, it will add a gloss black grille to the car combined with a gloss back front and the same glossy finish will be found on the rear diffusers, sills. The rear spoiler is automatically activated whenever the car touches a speed of 75mph. The sporty and stylish interior is strongly complimented by an equally responsive dashboard. An extensively large 10.1-inch primary display dominates the dashboard which allows users to control almost all the features in the infotainment system. It is powered by Audi’s latest version of MMI Touch Response Infotainment setup whereas there’s a secondary 8.6-inch display. The secondary touchscreen system helps control the temperature in the car and the comfort functionalities. About 39 different driver assist systems are provided in the car making it easy to park and drive the new 2018 Audi A7 Sportback even for an amateur driver. The model is based on Audi’s futuristic lounge design offering the best of comfort. Under the bonnet, the car is powered by a 3.0-liter V6 TFSI petrol engine capable of producing about 335 horsepower and 500Nm of torque. The model can go from 0 to 62mph in just 5.2 seconds with a top speed of 155mph. All the engine variants use hybrid tech to improve fuel efficiency and reduce emission. Pricing is yet to be revealed. Next Next post: The Sims 4 Laundry Stuff Pack Content Teased by Simguru, Take a Look!